Is this the future look of augmented reality? 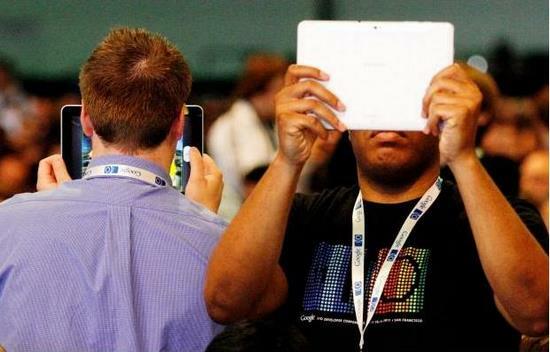 I have this vision of nerds everywhere staggering around the city with big slates in front of their faces only seeing the world through shared web tablet camera experiences. 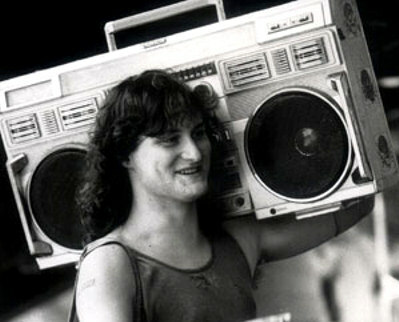 I’m guilty of looking something like this in public myself, even hoisting a tablet onto my shoulder boombox-style to make skype calls. And that’s a part of why this picture (taken at GoogleIO) made me laugh. Like everything old is new again. This entry was posted in Augmented Reality, lawsofmedia, mcluhan, mobile, tablets on May 13, 2011 by Thomas Purves.